I recently noticed a feature of Apple.com's trailer park that I'd previously overlooked: recommendations of movies with the same actors. While watching the latest Harry Potter preview, this system led me to two other films of which I'd never heard. I'm against typecasting and felt that this fantasy film series' stars deserve their chances in other titles, so I sought out two films formerly unknown to me — the first being December Boys, a 2007 film based on the book of the same name. December Boys is the story of four youths from a Catholic orphanage in the Australian outback. All four have birthdays in the same month, so they've been chosen together to enjoy a holiday with a foster family on the coast. Free from the scrutiny of nuns and surrounded by strange new people and places, they encounter exciting opportunities to explore and grow. At its core, December Boys is a coming-of-age film, with each of the four boys seeking their own triumphs. Spit and Sparks are fairly interchangeable, with one setting out to catch the great fish of the local cove. The two other boys anchor them in age and are more crucial to the main plot threads. From the commercial I saw for the film, to the billing, to the Harry Potter trailer that precedes the DVD's main feature, I assumed Daniel Radcliffe as the older Maps would be the main character. But the film proves to be lightly narrated by Misty, the youngest and outwardly most proper of the group. When Misty finds out a local couple may adopt one of the boys, he sets out to be the one they choose, but the rivalry advertised in the film's promotions never struck me as the central story. It's more about four boys finding their place in the house, in the world, and in their relationship with each other. Think of it as a more serious version of The Sandlot, which even ends similarly to December Boys. Despite the different vignettes each orphan is given, the film ultimately focuses on Maps, giving Mr. Radcliffe the chance to shine. 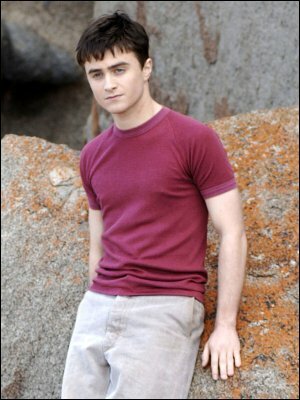 He's grown up quite a bit since his Harry Potter debut, something the directors seemed to capitalize on: while his three fellow orphans splashing about in shorts, Maps fills a pair of jeans rather nicely. More important, not once while watching the movie did I think I was watching Harry Potter. Even if they are both orphans, this December boy is served well by stretching his place in the film world.